At the end of February 2018, we achieved a recognised quality milestone. 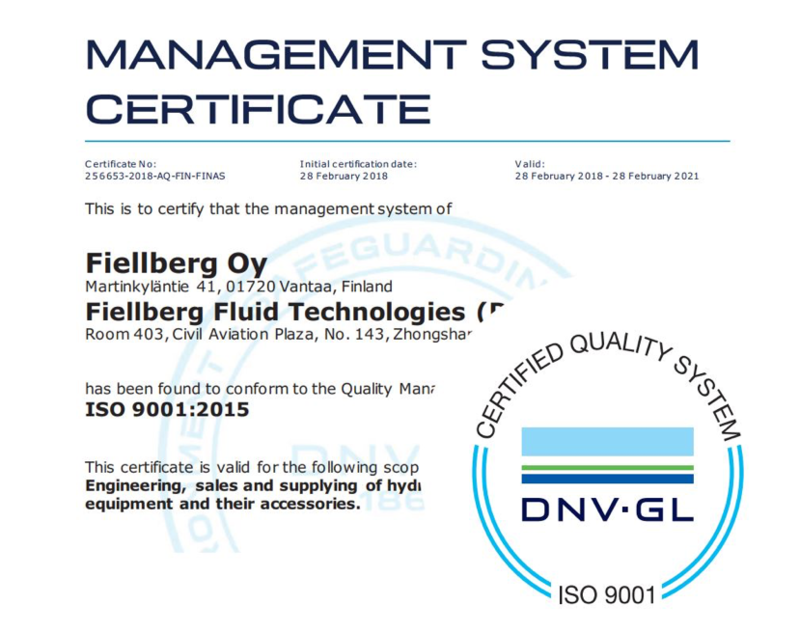 The management system of Fiellberg Oy and Fiellberg Fluid Technologies (Dalian) Co., Ltd. was certified by DNV GL. We are happy to present our brand-new certificate according to ISO 9001:2015. This certificate highlights our excellence in quality!